DStv installations in Cape Town. We are registered as accredited installers of Multichoice. Making us the superior choice for Cape Town DStv installations. Allow us to guide you through the process of home entertainment. From purchase to the final product, we can advise you on perfect entertainment. Contact us for a professional consultation. 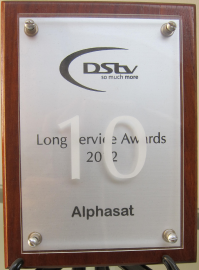 we are DStv-accredited installers offering reliable DStv installations and solutions. We also supply and install audio visual (AV) systems. We’ve been Multichoice-accredited for over 15 years. Although the industry has boomed since we first started, we pride ourselves on giving excellent aftersales service. Many of our clients have been with us for over twenty years and their children are now our clients. It’s heartening to see that they have chosen us as their preferred and first choice. Our experience extends from smaller domestic installations to larger communal projects. Our communal systems' experience spans many well-established Cape Town residential complexes and accommodations; from the 100-room Check Inn Hotel in Greenpoint to the 129-room Premier Hotel Cape Manor in Sea Point and the luxurious 5-star Steenberg Hotel in Tokai. We work together with several body corporates and private rental agencies by looking after the audio visual needs of their property portfolio. These include private property vacation rental specialists, iconVillas*, and one of Cape Town’s most prominent sectional title property management companies, Sandak-Lewin Property Trust. We’ve worked across the sectors with Golden Arrow Bus Services, South Africa’s Social Security Agency (SASSA), Mantelli’s and Flywell Travel amongst our clientele. AlphaTV provides the supply and installation of professional CCTV camera systems to monitor and record events at home or business premises. We specialize in HIK Vision installations and remote viewing on mobile devices. Get better WiFi and LAN with our professional network installations that provide you with seamless WiFi connectivity throughout your premises. TP Link, Ubiquiti and Netgear are our preferred brand choices; however, we will endeavour to find solutions with any model. Get Netflix, Apple TV, Google Chrome Casting or other media playing services set up and access a wider range of entertainment. AlphaTV can assist with device supply and installation. We'll guide you through the setup and ensure that you enjoy ease of use. We provide competitive rates on supply and installation of a wide range of TV's, DStv decoders, projectors and more. Whether you’re a home cinema fan or have a certain budget, we can supply, install and ensure that a good aftersales service is maintained. We'll review your details and may pay you a visit to assess the scope of work. We'll tell you exactly how much it will cost for supply and installation. Established in 1987 by owner, Fazel Adams, AlphaSat has over 29 years of experience in the satellite, TV and audio visual industry. 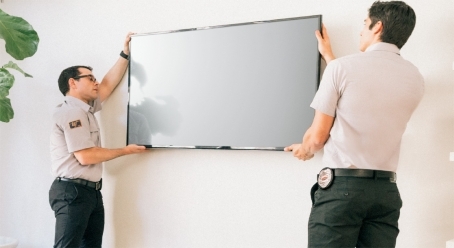 As preferred Multichoice accredited installers, we’ve grown our business and earned a trusted reputation by looking after the audio visual needs of our many longstanding, loyal and happy clients in the Cape Town region. Our story began when a young man’s interest in electronics was sparked. After completing a diploma in television electronics in Durban at the ML Sultan College in 1977, I moved back home to Polokwane (formerly Pietersburg) to help my father with his motor business. I thought that I might want to take it over when he retires. However, after a year, I travelled to Cape Town, where what was initially meant to be just a holiday, turned into the place I now call home. After just three weeks in Cape Town I decided to see if I could find a job, which I did quite easily at a retail HIFI and TV specialist store called Melotronics. I worked there for over 7 years, starting in sales and eventually as a sales manager exposed to clientele across various branches in the city. By the time the early 80s swung by, I had completed a Dale Carnegie course on human relations and made my next move to join the retail environment of Morkels, this time in general sales. During my sales career, I learnt the art of cold canvassing, managing a team and excelled on numerous occasions as a top salesman in the Western Cape. As the nineties approached, the South African television arena saw the growth of TV screen technology, the launch of M-Net’s analogue service and eventually MultiChoice’s enhanced Digital Satellite TV channel offering, DStv, across Africa. These exciting introductions to the audio visual arena inspired me to delve into TV, aerial and satellite installations in Cape Town. With over a decade of experience in the sales industry and a yearning for a new challenge, I decided it was time for me to go on my own. I started my own business in the industry, which I’ve had for over 27 years now. Over time, I introduced the business to my sons who eventually learnt the ropes and have now been with me for over ten years, bringing their individual flair and expertise to the business. Allow us to look after your audio visual needs. Contact us for a professional consultation. Delivered directly to your door and installed by professional staff with over 40 years of combined experience, be it 4K, 3D, HD, CAT5, CAT6 or any digital product, our experience allows us to focus on your requirements. Complete our contact form and we'll phone you right back!